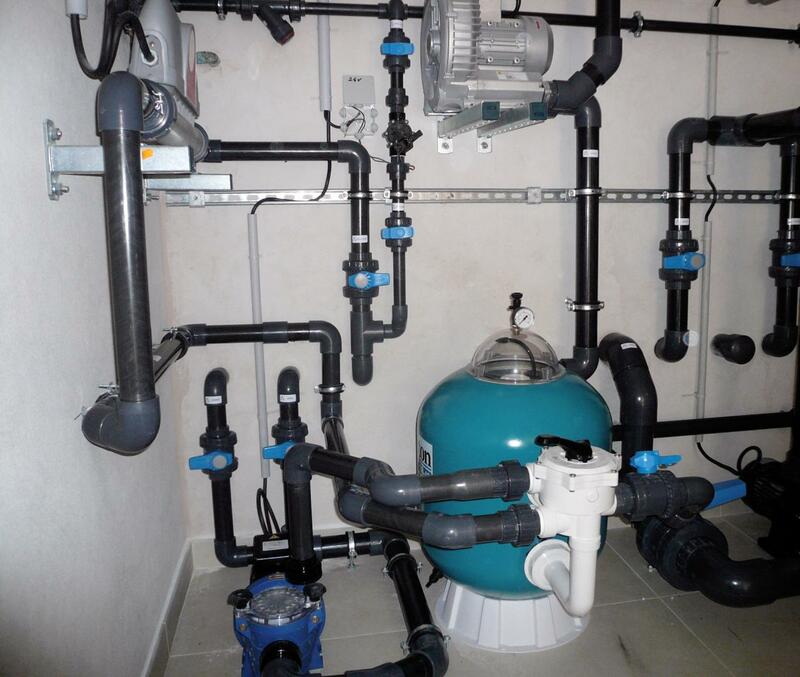 Sealed units are necessary to the filtration and maintenance of your pool. 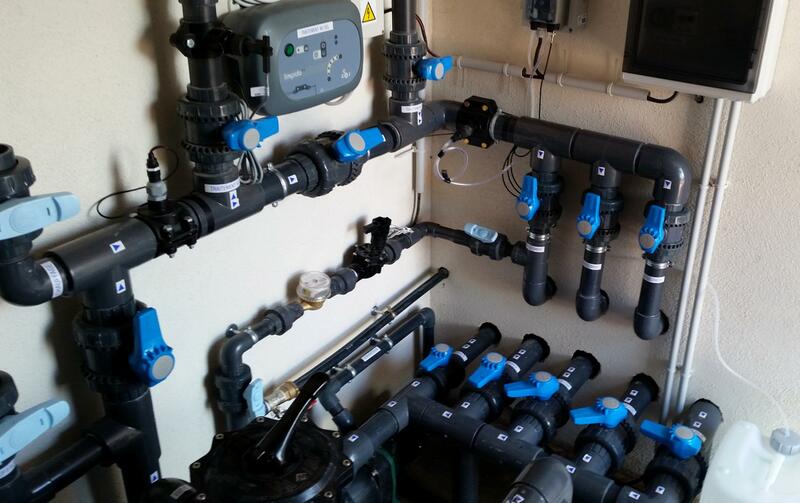 The sorely tested pipes of your pool filtration system are often source of problems. To avoid them, these pipes are integrated to the structure. 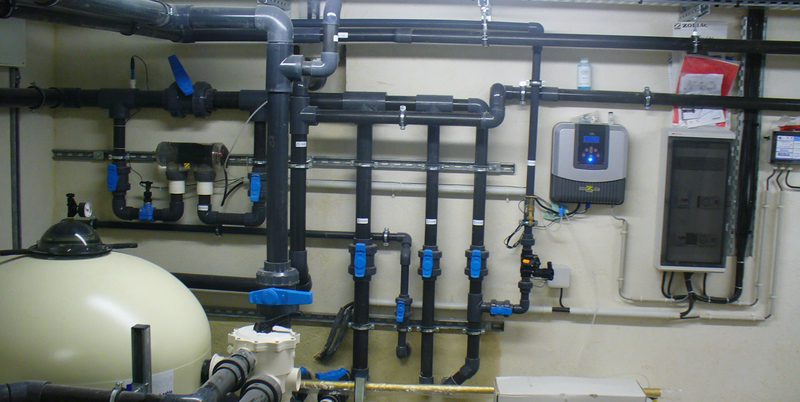 All the items to seal in the filtration system (inlet valves, return ports, drains, skimmers, etc.) are sanded after applying a primer resin coat to ensure the lasting effect. The pipes used are of the type PVC Ø 50, Ø 63 and Ø 75 high pressure, as well as a flexible PVC pipe. During the construction of the pool, a permanent plug is used. After assembly of the pipes, pressure is put back on. 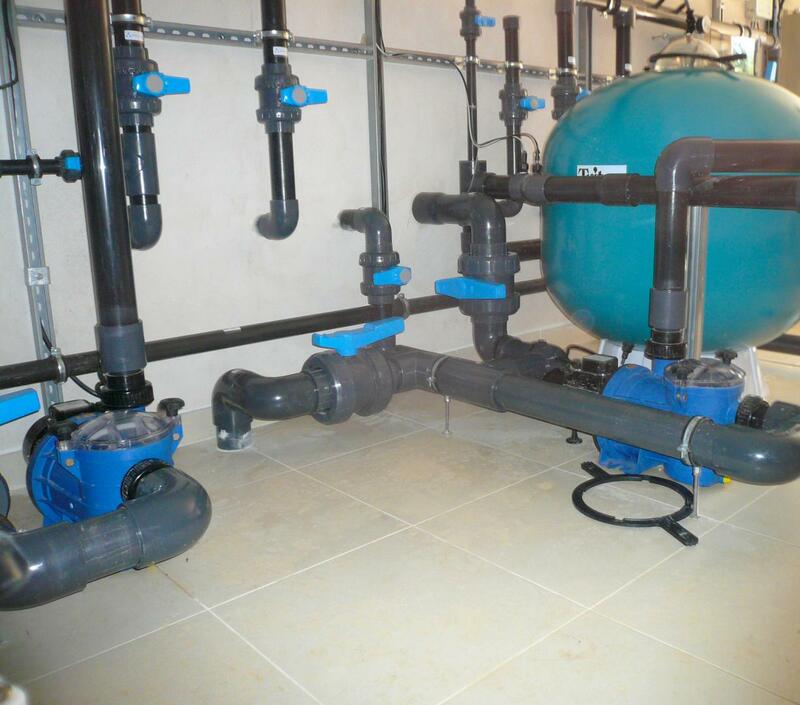 Installing a pool filter allows to keep dirt from the water and have sparkling clean, high quality water. 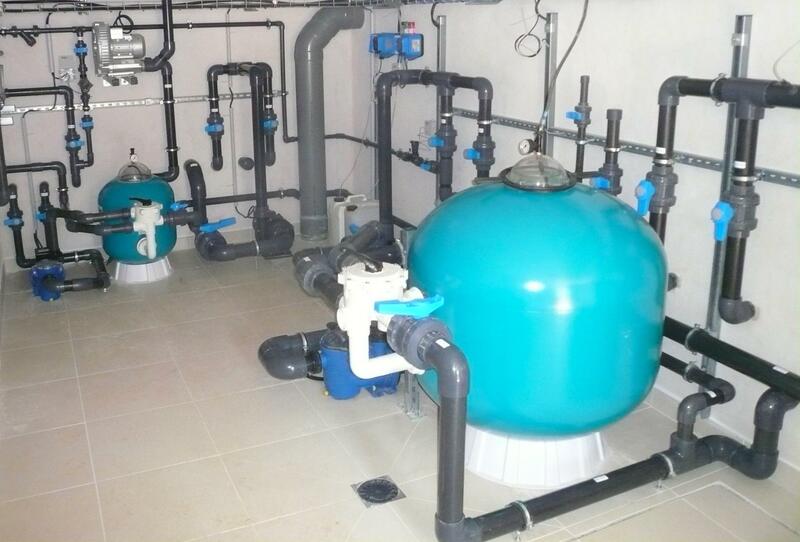 The filtration system is part of the mechanical room. 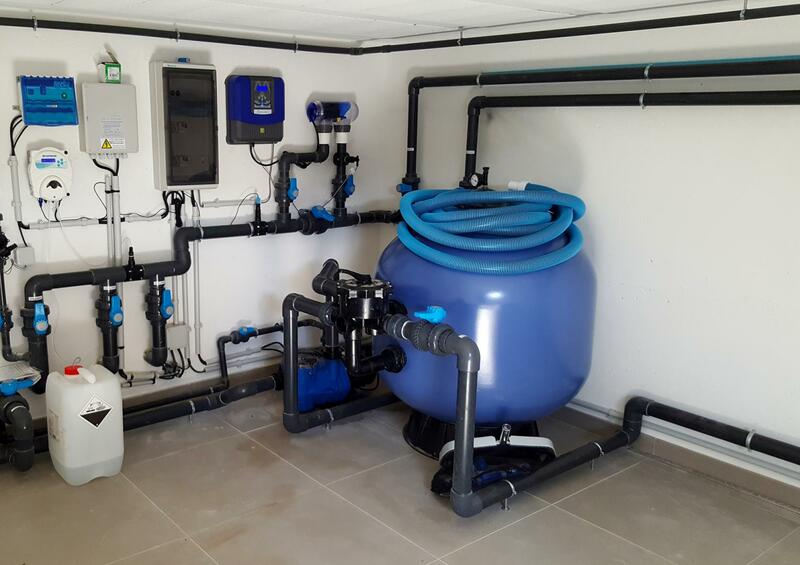 It contains a sand filter sized to the water volume of your pool, an automatic filtration pump working at an optimal speed to filter, an electric board with preset clock and control valves.